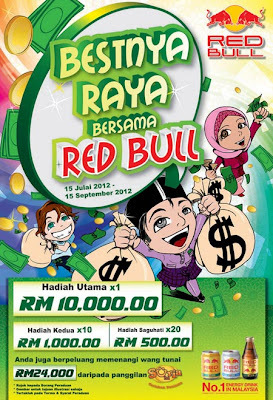 Buy any Red Bull product (Gold, Less Sugar or Bottle) with printed "RBMY" on the pull ring. Mail the form with the pull ring to P.O Box 8094, Kelana Jaya, 46781 Selangor. 10 minutes is all it takes to get RM300 CashBack.